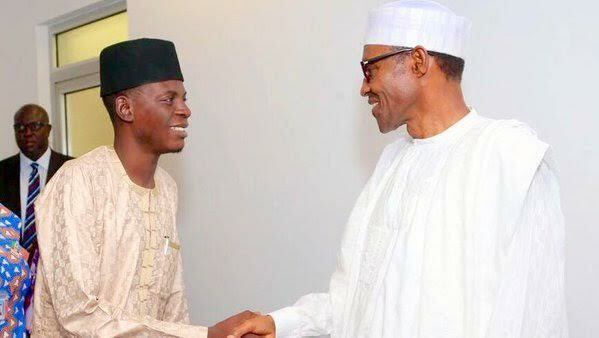 Nigerians on social media have descended heavily on Bashir Amad, a media aide to president Muhammadu Buhari after he questioned actress Omotola Jalade Ekeinde source of wealth follwoing the actress’ verdict on the Buhari-Osinbajo administration. Omotola had via her Instagram stories on Sunday, April 14, 2019, expressed shock over the Vice President’s silence over the way and manner SARS has turned the country into a death trap. She then proceeded to fulling calling out the Buhari administration, noting that the country has been hellish under his watch. That didn’t go down well with the presidency as one of the administration’s spokesperson was soon to react; the usual suspect, Bashir Ahmad. “Madam Omotola those who are working for CLEAN money are not complaining and will never refer our dear country as ‘hellish’. In Kano State alone, from 2015 to 2018, no fewer than 200 medium and small scale rice milling centres emerged. For that, billions circulated among millions”. “As long as you’re not insinuating that I am not working CLEAN for my money… I hear you. Its good that there are some progress… Do you truly want to say you dont see all that’s really wrong? Can we fight for our future in truth for once? Without being partisan?” Omotola said. As long as you're not insinuating that I am not working CLEAN for my money… I hear you. Its good that there are some progress… Do you truly want to say you dont see all that's really wrong? Can we fight for our future in truth for once? Without being partisan? Dear Omotola, dis man gets paid 2 defend a clueless, ruthless, insensitive n murderous Govt. Murderous in its sense – condoling d high level of killings n Poverty. Omotola described Nigeria as "HELLISH" under Osinbajo & Buhari's watch. Bashir jumped on the tweet and he replied: "..those who are working for clean are not complaining…"
Omotola spoke the mind of the average Nigerian. It is very disrespectful of Bashir to insinuate she doesn't make her money legitimately. Anyways, it's easy to sit down inside one room in Aso rock and type trash at people that are working hard for their money. Oga Bashir, must u pple praise an erring govt. on sheer falsehood, y dont u kip quiet if i dnt v anytin relevant to say, ur tweet has no bearing on wat Omotola tweeted abt. And ur argument sef on d issue of rice production holds no water. U r a fool Sir. We must rise to the occasion & stop the likes of Bashir, Gbenga Gold & other Buharists from using government position to harass critics of the administration. They're setting a dangerous process which we must never condone. They were not appointed to be stupid & irresponsible.